This article is the second of a series based on a history of the small town of Mataasnakahoy written by Ceferino Capuchino in 19981. In the first instalment, we talked about how isolated Mataasnakahoy was in pre-Hispanic times, how most of its lands came to be owned by two of Lipa’s wealthiest families and how its rich volcanic soil started to attract migrants from mostly lakeside towns. These immigrants, Capuchino said, came to Mataasnakahoy armed only with strong arms and determination. The place was thickly forested with vines hanging from tall trees. Monkeys chattered among each other in the trees which were also home to many birds. Wild boar roamed freely on the forest floor. Although Capuchino himself failed to say so, presumably this period of immigration occurred during the 19th Century. Despite the dangers that the immigrants faced in the wilderness, he went on, they did not want for food. They harvested rice and corn from the fields as well as the natural bounty from the forests. Whilst Capuchino did not say so, these immigrants presumably first had to slash and burn trees and brush to clear swathes of land for agriculture in a method called the kaingin (or caingin, as it was spelled in many historical documents). This same method was mentioned over and over in the so-called historical data of the different towns around Batangas as the means by which immigrants cleared land for cultivation in previously unsettled barrios. From the time the immigrants first came to the area now called Mataasnakahoy and cleared the forests for cultivation, Capuchino jumped in his narrative to the latter part of the 19th century when the Queen Regent Maria Cristina of Spain bestowed the title of “Villa” to Lipa. This was in 1887, when the production of coffee in Lipa also reached its peak2. The reader will please recall from the first instalment of this series that Mataasnakahoy at the time was still part of Lipa. According to Capuchino, Villa de Lipa became famous because of its production of the species of coffee called coffea Arabica, otherwise known as mountain coffee because it thrives in highlands3. The coffee for which Batangas in the present day is known, i.e. barako, is however coffea Liberica4. The wealth Lipa garnered from the 19th century coffee boom, Capuchino wrote, benefited the people of Mataasnakahoy as well. Whilst most of the land was owned by the Silvas and Templos, the people of Mataasnakahoy were their day workers or obreros as they were called in Spanish/Tagalog. Because of their hard work and frugality, in time they were able to buy parcels of land. The really wealthy families like the Templos and the Silvas had houses had wide basements where servants lived, or perhaps where coffee was stored or even where horses were kept. These families used only the best horses to ride to the Lipa town center or to go down to their vast land holdings. 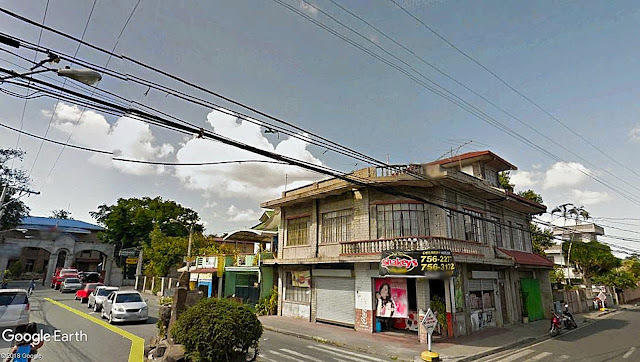 Capuchino would mention that the “kapeng Tagalog” in Lipa would eventually die out, and with this the loss of a product that brought so much wealth. The Spanish historian Manuel Sastron wrote that the decline of the coffee industry in Lipa was due to a worm which he called the “bayombong5.” The truth, however, was that the coffee plants started to die out because of a fungus infestation6. To make up for the loss of income due to the decline of the coffee industry, Mataasnakahoy turned to the planting of abaca, a banana specie from which fiber could be extracted which could then be woven into cloths or sturdy ropes. The price of abaca ropes, in particular, rose worldwide with the outbreak of World War I in 1914 as these were used in shipping. The abaca plants would start to die out as well over time, and to take their place, farmers of Mataasnakahoy turned to the planting of lanzones or langsat, a specie of tree of the mahogany family which originated in the Malay Peninsula and bore a sweet jelly like fruit considered among the best grown in the country. 5 “Batangas y su Provincia,” by Manuel Sastron, published 1895.